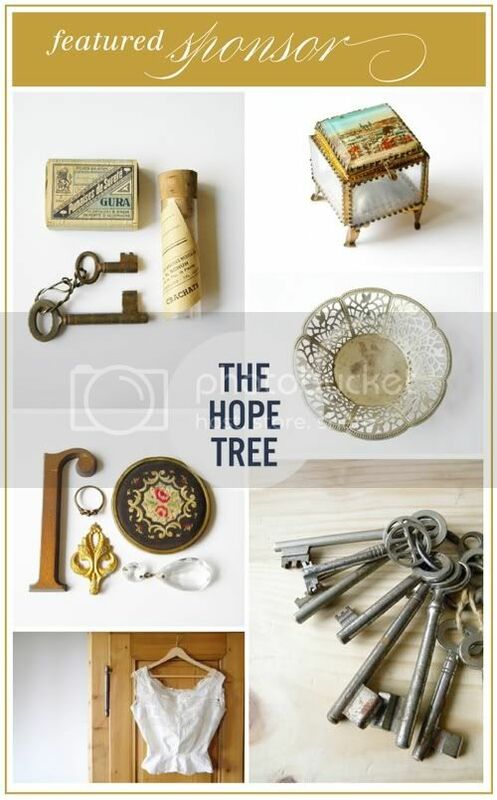 Today's featured sponsor is the hope tree! What is better than seriously fabulous vintage things? The fact that they're french vintage items! ;) I don't know, vintage-france just seems a little more legit, don't you think? You can stop by the hope tree blog, and follow on twitter! Anyway, lots of lovely items and beautiful photography over at the hope tree, please take a minute to stop by and support!